Many newer cars--particularly larger vehicles like SUVs, trucks and vans--come from the factory with rear-facing cameras to aid the driver when reversing, backing into cross traffic or attaching a trailer. 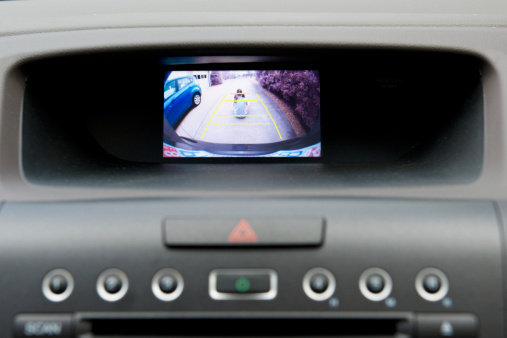 Rear-facing, or “backup,” cameras are as much a convenience feature as a safety feature. In fact, expect to see these cameras mandated as standard equipment on all new cars sold in the U.S. over the next few model years. Why are they so important? On average, most vehicles have a “blindzone” behind them that measures approximately 7-8 feet wide and extends out 20-30 feet long. What’s more, some cars’ blindzones can extend beyond 40 feet, leaving lots of space for objects or pedestrians to hide from the driver. Children are most at risk. 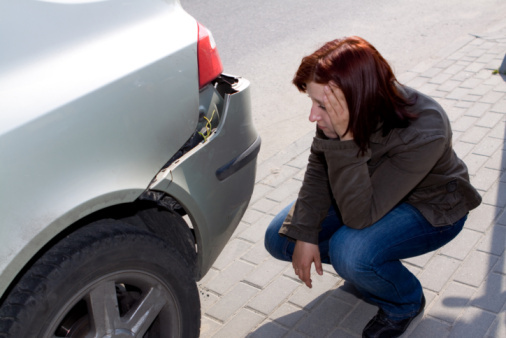 Research from consumer safety group Kids and Cars shows that of the nearly 2,137 non-traffic related child fatalities between 2001 and 2010, 63% were due to vehicle “backovers” and “frontovers” where children were struck while in one of the vehicle’s blindzones. Rear-facing backup cameras will not only save you from reversing into a pole in the supermarket parking lot, they also save lives. Thanks to a thriving aftermarket, you have numerous options for adding a backup camera to your car. A small camera installed near your rear license plate provides a wide-angle view of the area directly behind your car and is activated when you shift into Reverse. You can choose from several aftermarket solutions ranging from plug-and-play kits you setup yourself to professionally installed systems that integrate with the screen on your portable navigation device, aftermarket in-dash receiver or factory-installed navigation screen. Wired or wireless, these all-in-one systems generally do not require professional installation. Most include a license plate frame-mounted camera and a dash-top or visor-mount monitor. These systems are simple to install (particularly the wireless variety) and are relatively inexpensive. They get the job done, but if you prefer a cleaner, more integrated look, one of the more sophisticated solutions below may be preferable. Many aftermarket in-dash receivers with built-in screens for navigation or video playback allow you to connect backup cameras. Like factory-installed backup cameras, these display a rear- facing image on the in-dash screen when you select Reverse. If you already have an in-dash aftermarket receiver, or have thought of upgrading your factory radio, this may be a great option for you. Another option for adding a backup camera to your vehicle is a rearview mirror with a built- in monitor. Rearview mirror monitors, like those found on many new cars, have a small video monitor built into the glass of the rearview mirror. It looks like a standard rearview mirror, but when you put the car in Reverse, a bright, crisp image from the backup camera appears inside the mirror. These mirrors are a great solution for drivers who don’t want to upgrade their factory radio but still want a factory-installed look with no dangling wires or dashtop monitors. If you are after the ultimate factory-installed appearance, your installer may be able to connect an aftermarket backup camera to your factory navigation system’s screen. Vehicle-specific integration solutions from companies like PAC and NAV-TV allow installers to connect any number of video sources--including front- and rear-facing cameras--to your car’s factory navigation screen. With several aftermarket solutions available, backup cameras are an easy way to add convenience and safety features to any car. Talk with a mobile electronics retailer about your options and be sure to ask for an MECP-certified technician to perform the work on your car. Visit DigitalDriver.org to find a retailer near you.